and produced with the latest technology available. 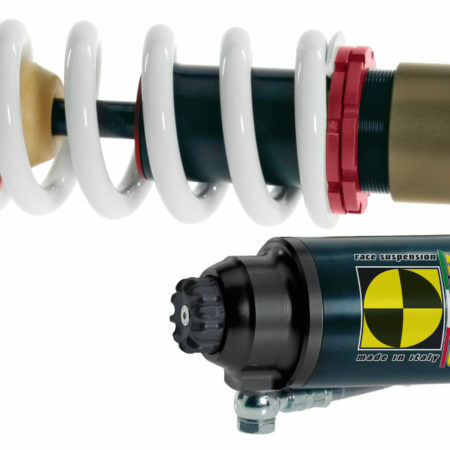 With all Mupo shock absorbers, the various components are entirely made with CNC machinery and the dimensionality is checked to 100% perfection. They are then put through the various surface treatments, studied every step of the way.The photographs are purely for information. 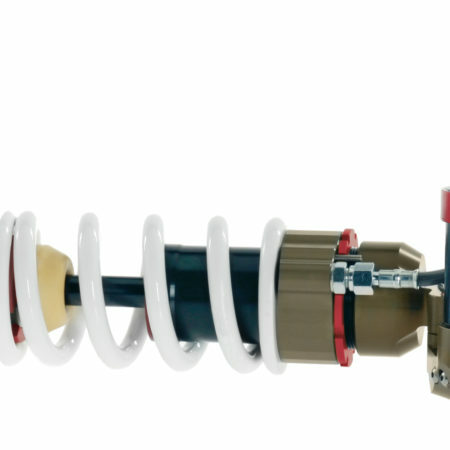 The cylinder is made in Ergal 7075 hard anodised and coated, which other than making the shock absorber lighter, disperses heat better, therefore guaranteeing excellent control even at high temperatures. 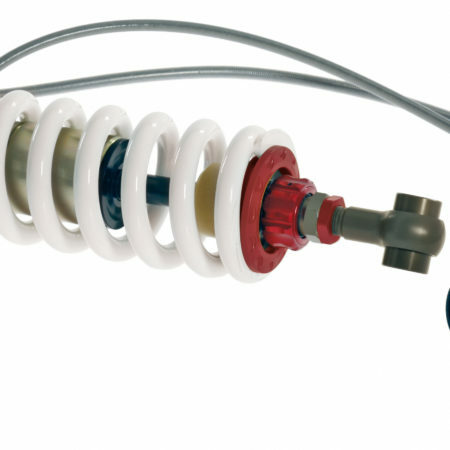 The screws and some of the internal parts are made in Ergal and titanium. 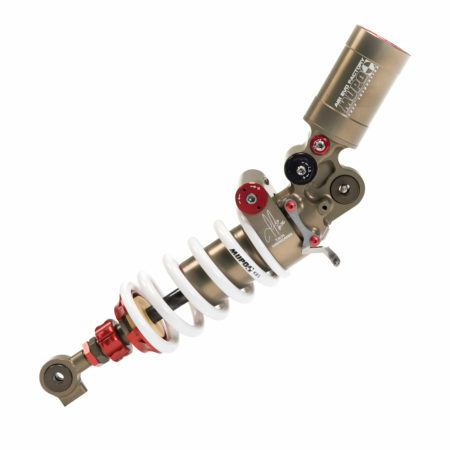 The total weight of the AB1 EVO and hydraulic spring preload is just 2,410 gramss.